to bring back to youthful strength, appearance, etc., to make more vigorous, dynamic, and effective. While growing up in Rhode Island, John Grosvenor couldn’t help but adore Newport. His parents, noted artist Richard Grosvenor and art appreciator Margot Grosvenor instilled within him a deep reverence for Newport’s coastal scenery and storied built environment. Through the years, John and his three siblings continually celebrate their unique family bond and endeavor to capture Newport’s beauty during countless studio and plein air sessions with their father. Not surprisingly, John parlayed his passion for Newport’s rich architectural heritage into a profession where historic preservation and adaptive reuse are the hallmarks. 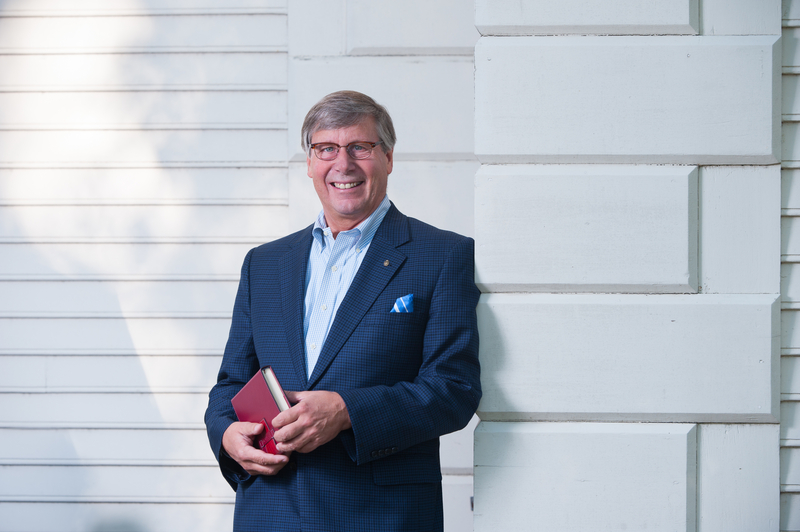 In the 1980s, John co-founded NCA with his Miami University classmates J. Michael Abbott and Glenn Gardiner. In 2011 NCA merged with Bianco, Giolitto and Weston Architects. More than 100 award-winning projects including museums, schools, hotels, theaters, micro-lofts, and private residences distinguish their staggering portfolio. 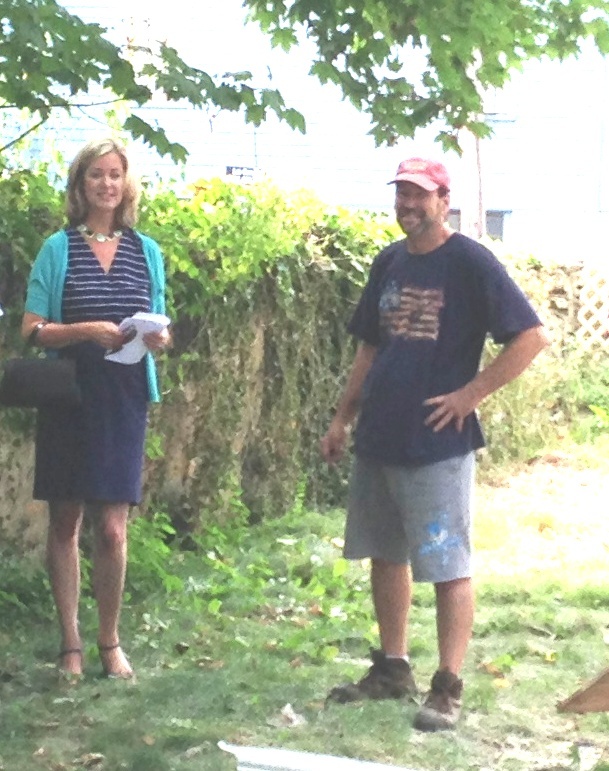 John enjoys finding dynamic new uses for historic landmarks and his current projects include a world-class art museum overlooking Newport’s Cliff Walk and an antique auto museum on Bellevue Avenue. 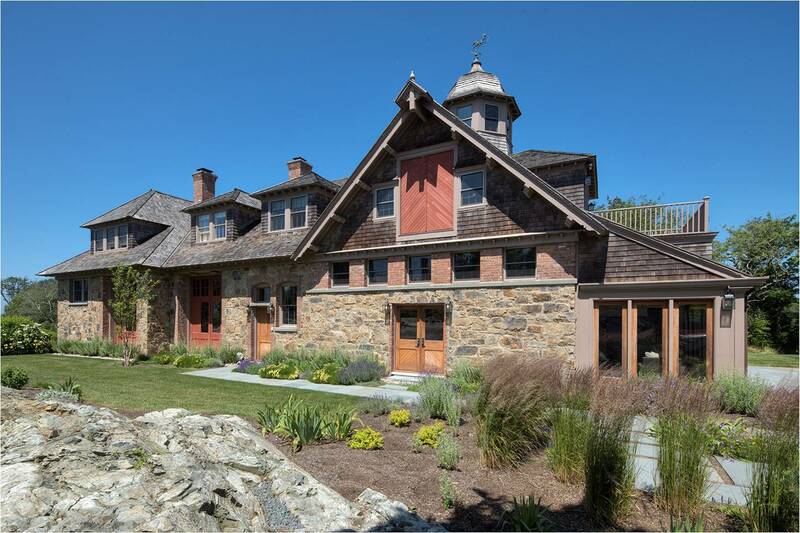 When John presented “Stable Design: Richard Morris Hunt’s Country Buildings in Newport, RI” at the annual Architecture Symposium at the Newport Casino last spring, the audience’s gasps were entirely audible while gazing at the dramatic before and after images of his projects. 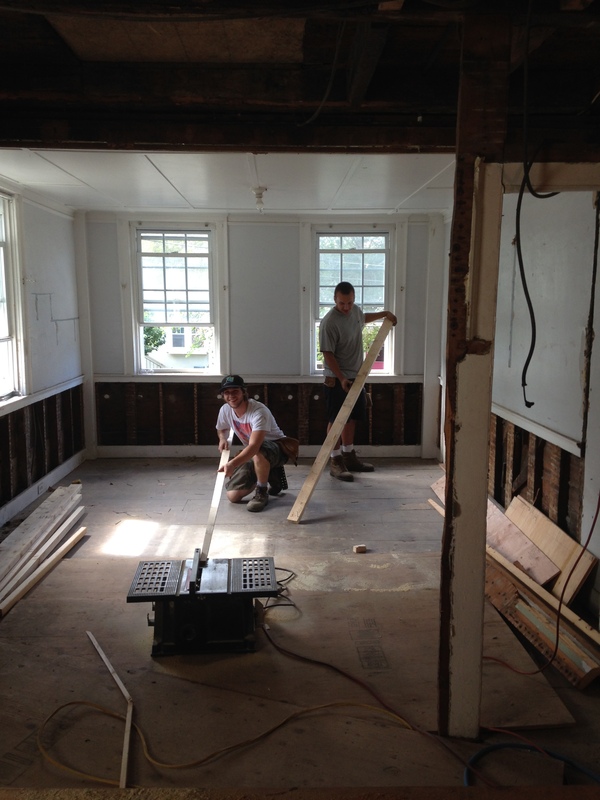 Rejuvenating the Sherman House represents a new chapter in John’s career. 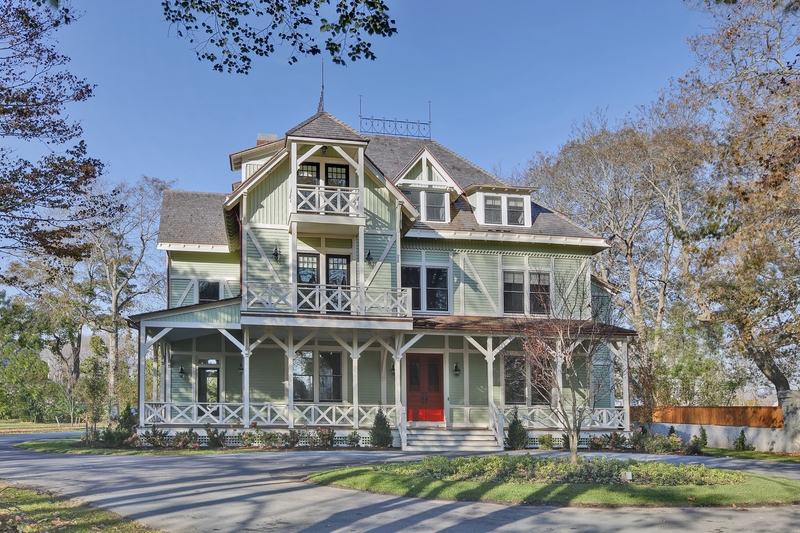 He explains, “I’ve had the opportunity to rehabilitate many Victorian, Queen Anne, Greek Revival, Colonial Revival, Gothic Revivals, and Shingle Style homes. 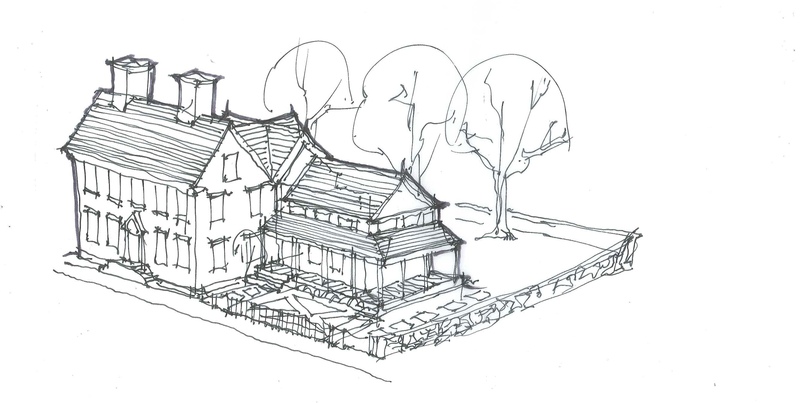 The Sherman House represents my first Federal project. The first time I saw the Sherman house, I was enchanted by elements that typified the period such as the five bay symmetrical facade, six-over-six double hung windows, wood paneled door, pediment and paired brick chimneys. The interior features four square rooms, central hallway, straight staircase, wide planked floorboards, wide planked sheathing and post and beam framing that form a rigidly rectangular house. 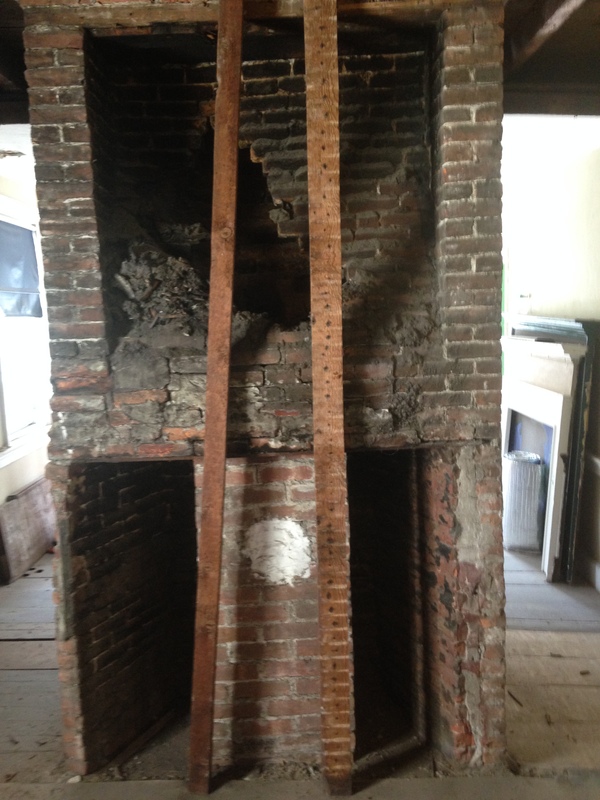 The six wood burning fireplaces serve as reminders of the patriots who cooked and warmed their house long before there was central heat and running water. 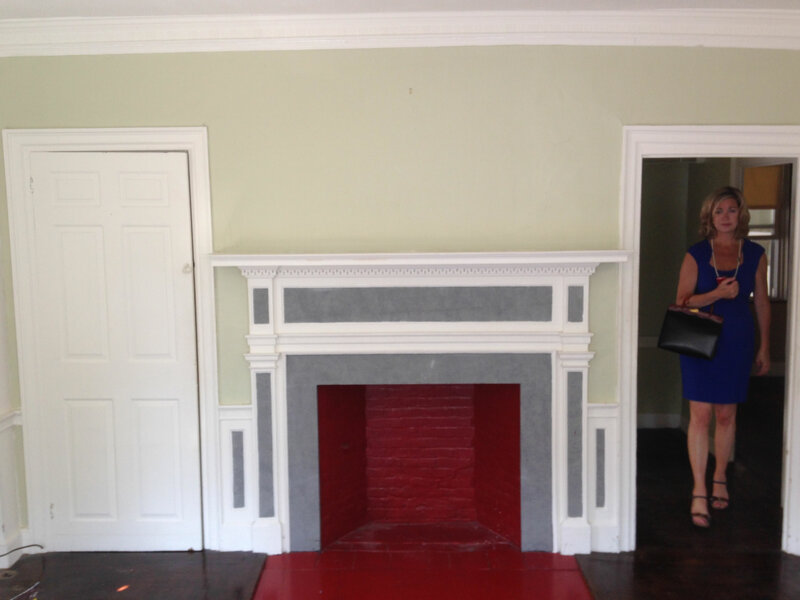 It was all there – the 200-year-old Federal house of Newport in all its original splendor. The house is a spectacular specimen of early American architecture that miraculously had not been tampered with too much through good times and bad. Perhaps a lack of funds constrained families to forgo changes that inevitably happen with technological or lifestyle changes? Somehow the Sherman House remained pure despite a boxy addition that had grown off the back of the house in the mid 19th century. We have enlisted Michael DeFontes to orchestrate the rejuvenation project. Michael is a true craftsman and words cannot begin to describe his exquisite attention to detail. 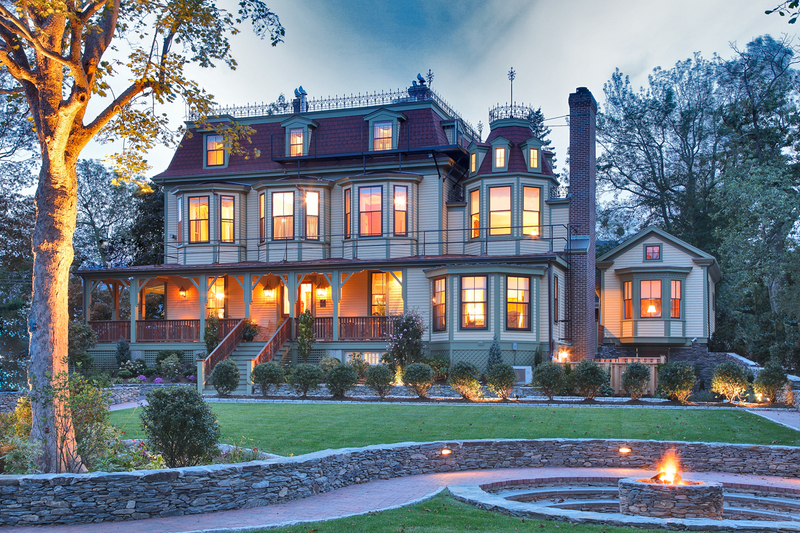 John and Michael’s most recent collaboration at the Cliffside Inn earned the 2014 Doris Duke Award for Historic Preservation. Pictures are worth a thousand words…..
Michael, Kyle and Matt make up the rejuvenation dream team! See a penny, pick it up and all day long you’ll have good luck. Leave it there and you’ll despair. When the Sherman family constructed their Federal home in Newport, Rhode Island in 1811, they most likely needed more than a day’s worth of good fortune. 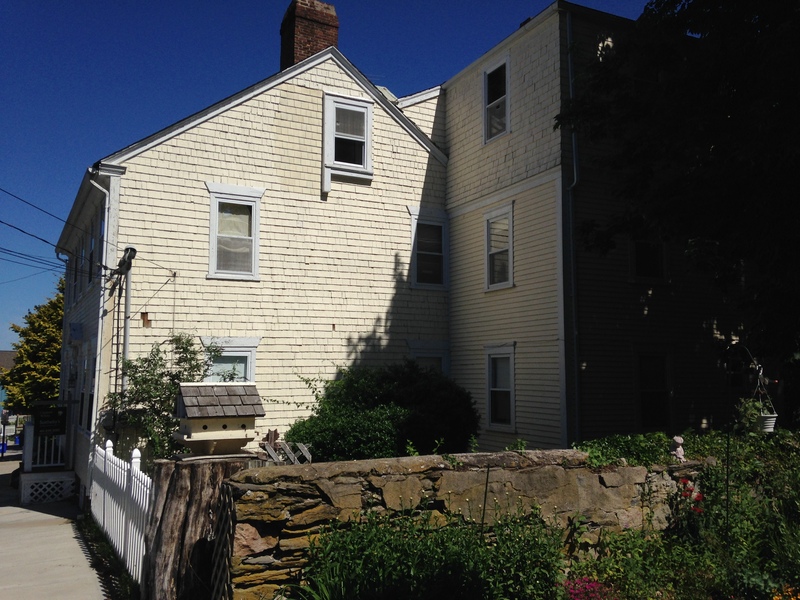 Building a home and raising a family in the devastation that followed the American Revolution and British Occupation certainly required faith, courage, and a smidgen of luck. In those desolate and uncertain times, perhaps horseshoes nailed above doors and crickets placed in hearths did not pack enough positive vibes to ward off evil spirits. 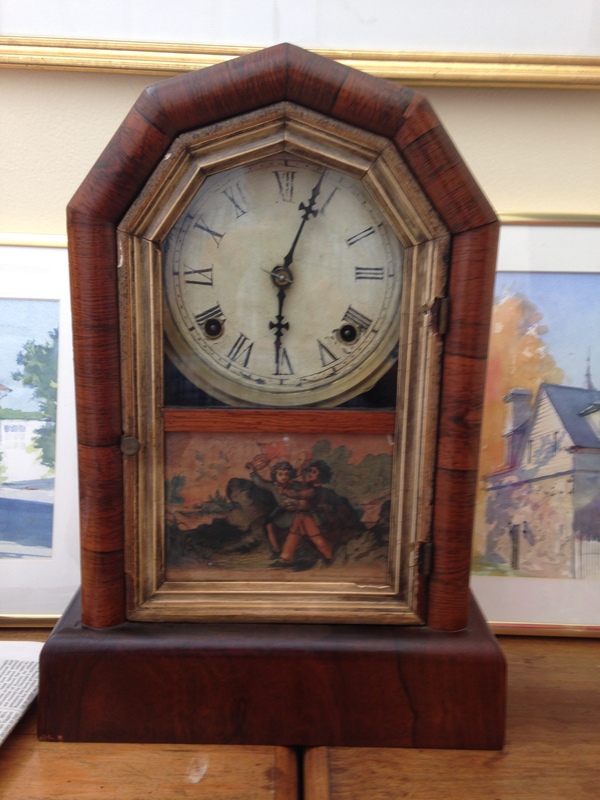 New Englanders needed powerful, time tested symbols that were a shoe in for good luck…..so to speak. 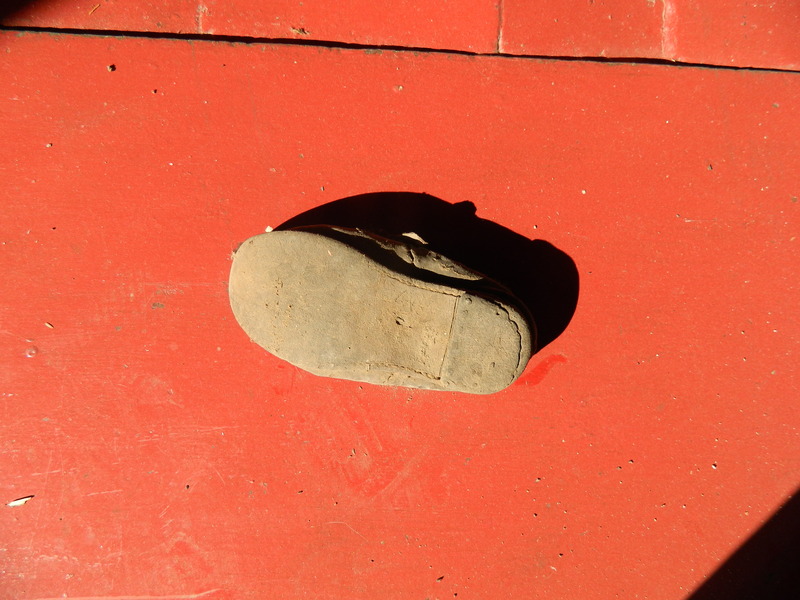 Brave souls relied on an English superstition dating back to the 1500s that called for placing well-worn family shoes in eaves, chimneys, walls and floors during construction or renovation. 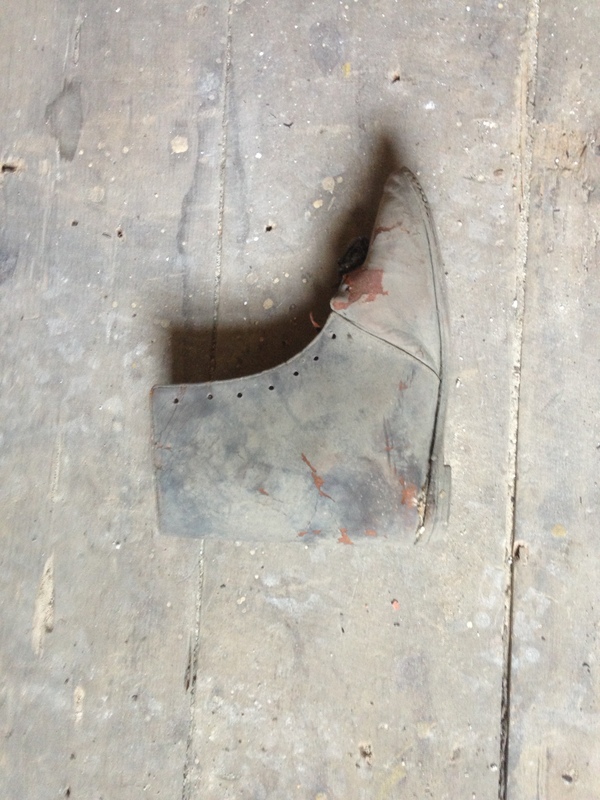 During the demolition phase of our rejuvenation project at the Sherman House, we discovered three concealed shoes. 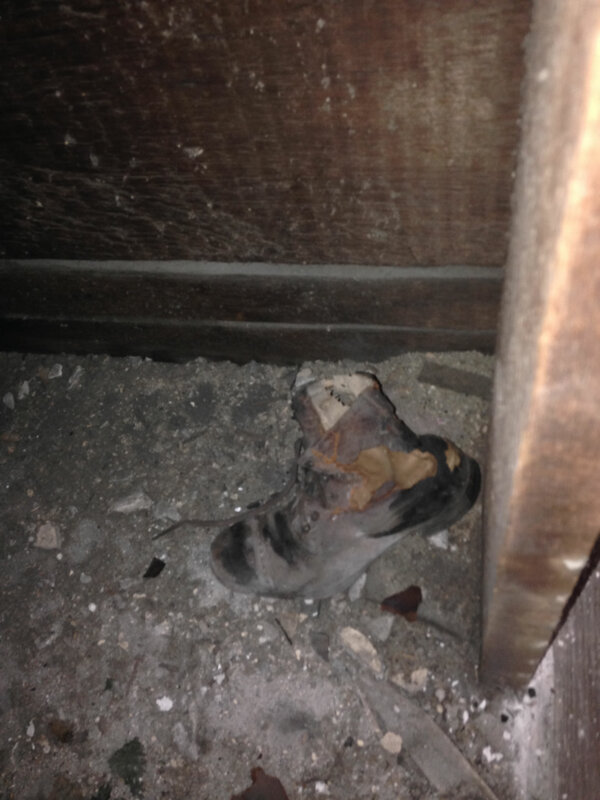 A man’s shoe and a woman’s shoe were tucked in the eaves and a child’s shoe presided in the rafters above the cooking hearth on the main floor. 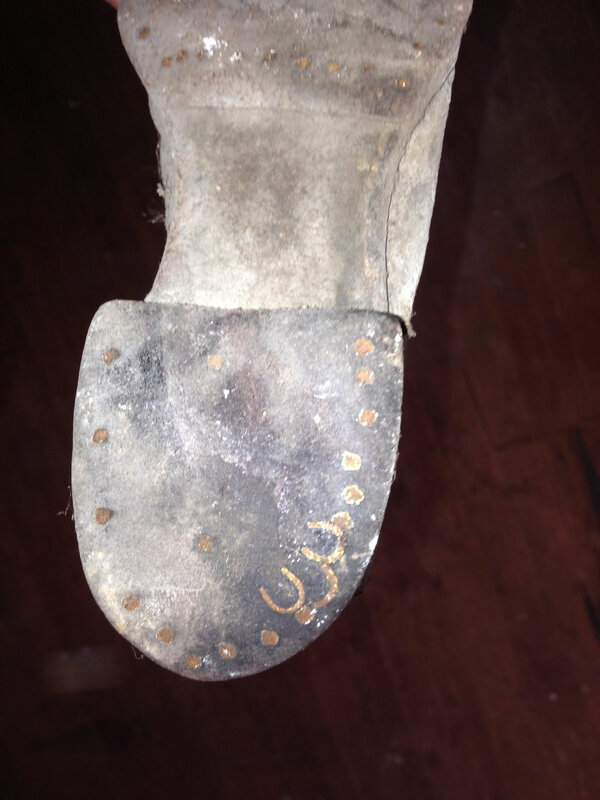 We do not know when the shoes were concealed in the home, but our hearts tell us that the Shermans strategically set them in place during construction in 1811 or when they added an addition prior to 1840. Holding over 200 years of history in the palm of our hands was the type of astonishment that triggers goose bumps! 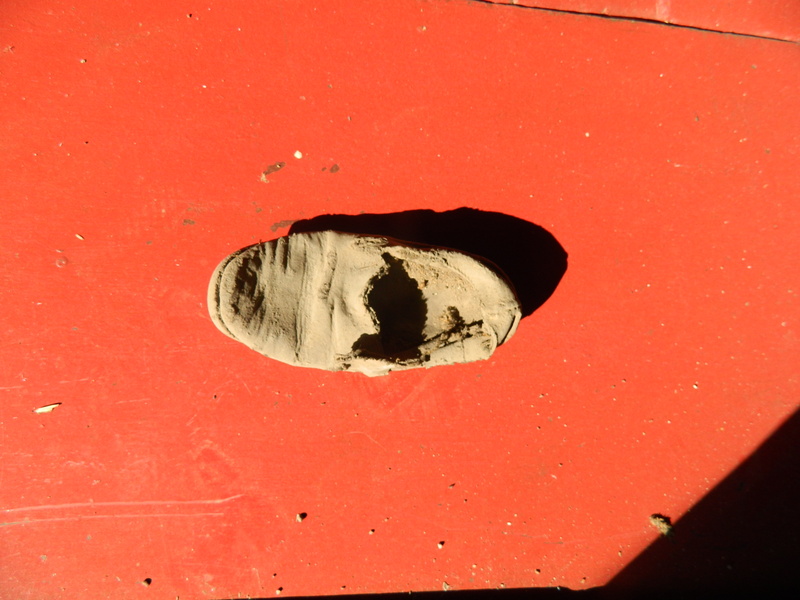 Regardless of who concealed the shoes or the exact day they were hidden, we are so delighted that the child’s shoe proved to the luckiest of all. Adjacent to the tiny worn leather artifact were charred and burnt timbers that had been exposed to the hearth’s open flames when the chimney mortar gave way and sent bricks tumbling into the fireplace. 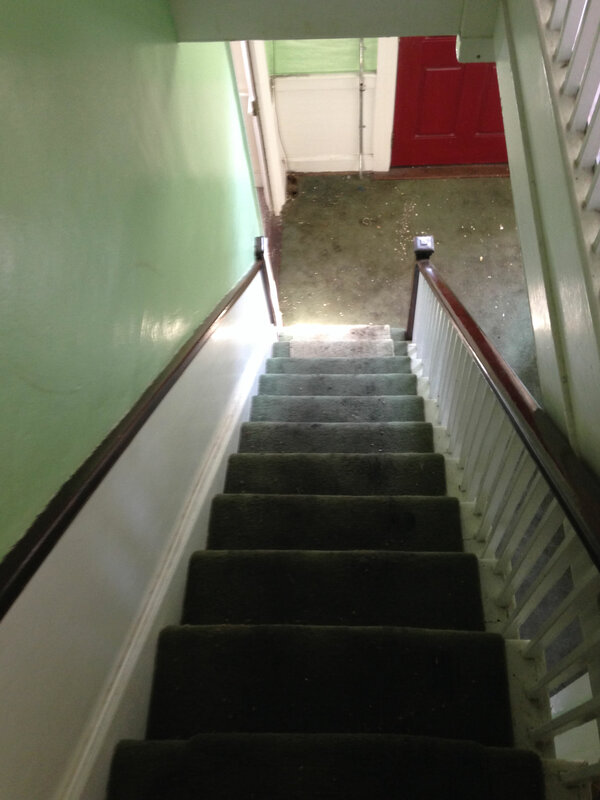 It was nothing short of miraculous that the entire house was not consumed by fire. Good luck prevailed in the Sherman House for over two centuries. The house also survived other maleficent forces that wreak havoc on New England homes: hurricanes, blizzards, fires, floods, and those dastardly economic downturns. 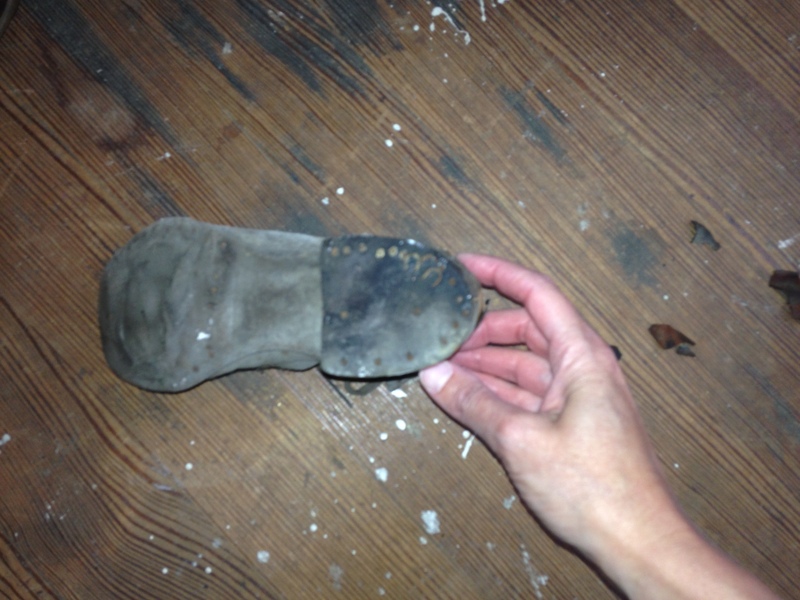 The most important thing to know about discovering concealed shoes in an old home is that the treasures should remain in place. Never, never remove them. Simply photograph the hidden treasures and promptly return them to their nooks where they can resume their noble duty as brave soles, bringing good luck and staving off disaster. 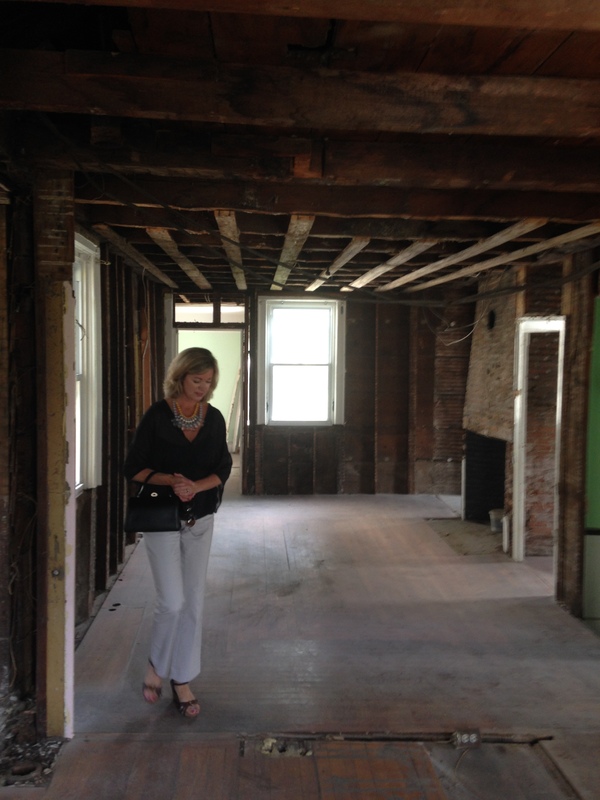 Homes of the Brave chronicles the rejuvenation of an 1811 Federal home in Newport, Rhode Island. The blog serves as a resource for other brave souls saving American treasures and shares links to preservation-related books, websites, products, tradesmen, and experts. I hope this blog will prove helpful and I hope you’ll share personal stories of your rejuvenation projects. 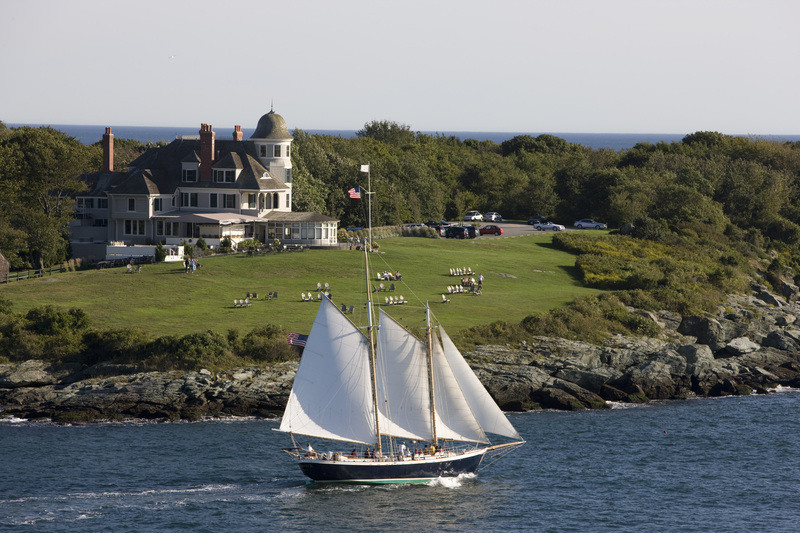 Newport, RI is an idyllic isle where a sumptuous variety of seascapes, seafaring history, and stunning architecture reign supreme. 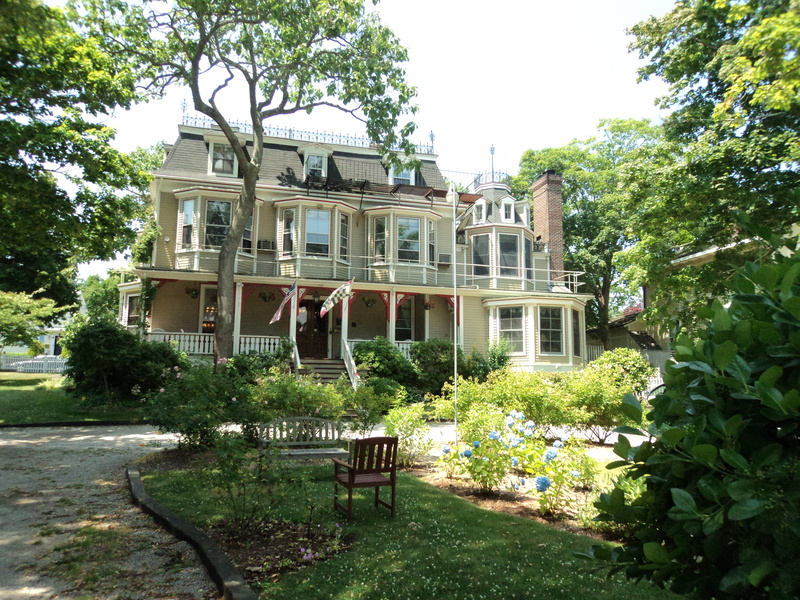 A myriad of Colonial, Greek Revival, and Victorian structures lovingly preserved as homes or thoughtfully repurposed as inns, galleries, boutiques, eateries and offices define the City-by-the-Sea and enchant residents and visitors alike with vestiges of the past. 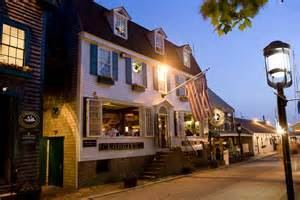 Newport was a thriving seaport in centuries preceding the Revolutionary War. After the Civil War, prosperity redefined the coastal hamlet and Newport experienced a building boom of epic proportions. Architects from the nation’s most venerable firms descended upon the city armed with their wealthy clients’ visions for summer “cottages” that resembled European chateaux and villas. While colossal mansions were being built along Bellevue Avenue, the Cliff Walk and Ocean Drive, intellectuals and artists from Boston and Philadelphia were commissioning impressive residences just a few blocks away from Millionaires Row. Noted architects turned Newport into an architectural laboratory where many styles were tested and perfected. And like a symphony, countless carpenters and tradesmen from around the world filled the air with the distinct rhythm of sawing and hammering and the melody of progress. 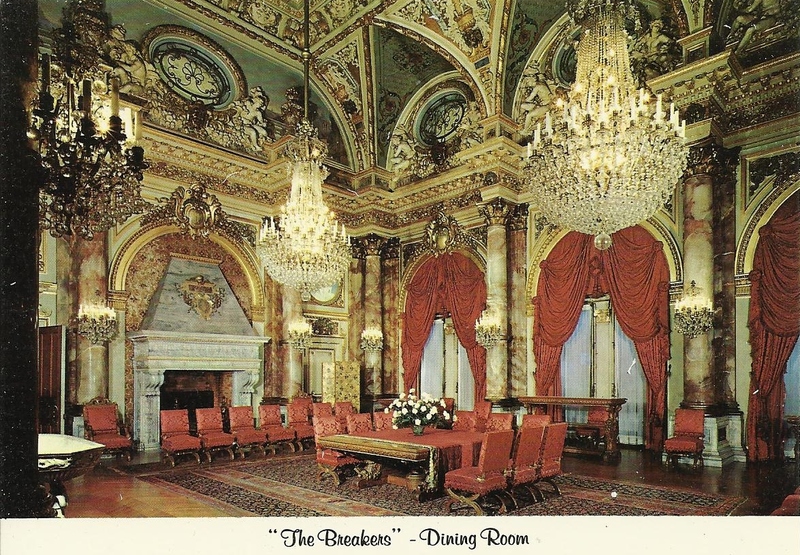 Today, an excursion to Newport might include a tour of the Breakers, lunch at Castle Hill, shopping on Thames Street, sunset cruise aboard the Schooner Aquidneck and dinner on Bannister’s Wharf. While concluding the day with spoonfuls of a decadent chocolate and coconut snowball in hell at the Clarke Cooke House, it is nearly impossible to image that this tony resort experienced decades of hardship following the Revolutionary War. In 1811, Isaac William Sherman and his bride Elizabeth were among the few Newporters who possessed the means to build a home. 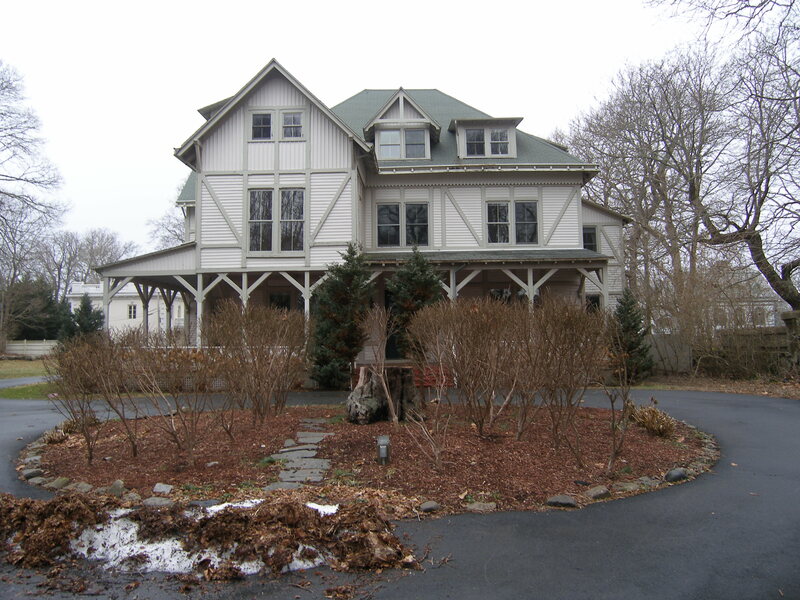 The Shermans built their Federal home on a parcel in close proximity to some of Newport’s sacred places, including the original town spring, Quaker Meeting House, Touro Synagogue, and Colony House. 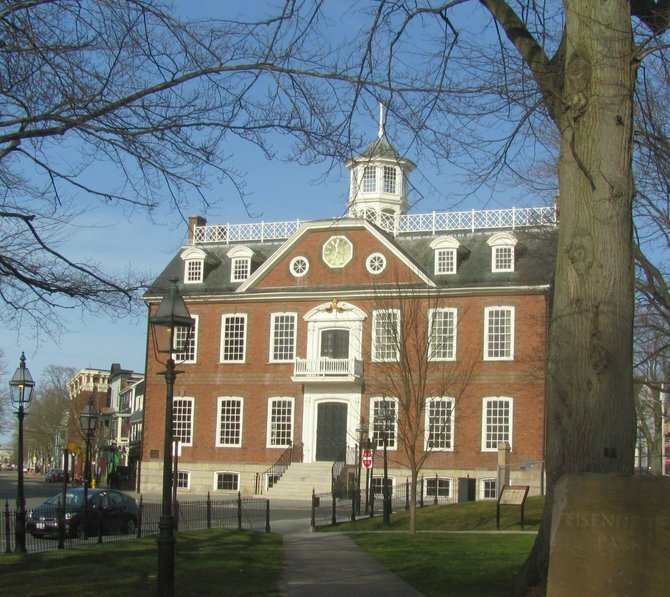 On July, 4, 1811, a Son of the American Revolution climbed the Colony House’s steps and proudly read the Declaration of Independence……the occasion marked the 35th consecutive reading. From the Sherman’s newly constructed stoop they could hear faint echoes of “We hold these truths to be self-evident” wind up their narrow lane followed by cheers from the crowd assembled for the annual tradition. The following year, the Shermans shared other resilient Newporters’ fears of a second British invasion during the War of 1812. Then in 1815, the Shermans and their neighbors mustered more faith and courage to withstand the Great September Gale, a monster hurricane with 135 mph winds and severe flooding. From 1815 to 1829 not a single home was built in Newport. 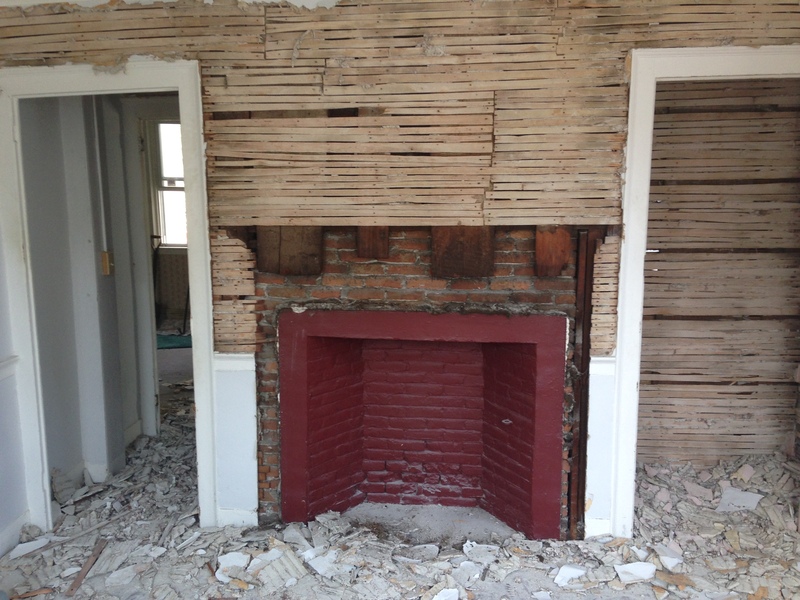 When construction of a home began in 1829, children were released from school to witness the historic event! Despite a trifecta of economic devastation, political unrest, and a wallop from Mother Nature, the Shermans persevered and managed to raise ten children in their special home. 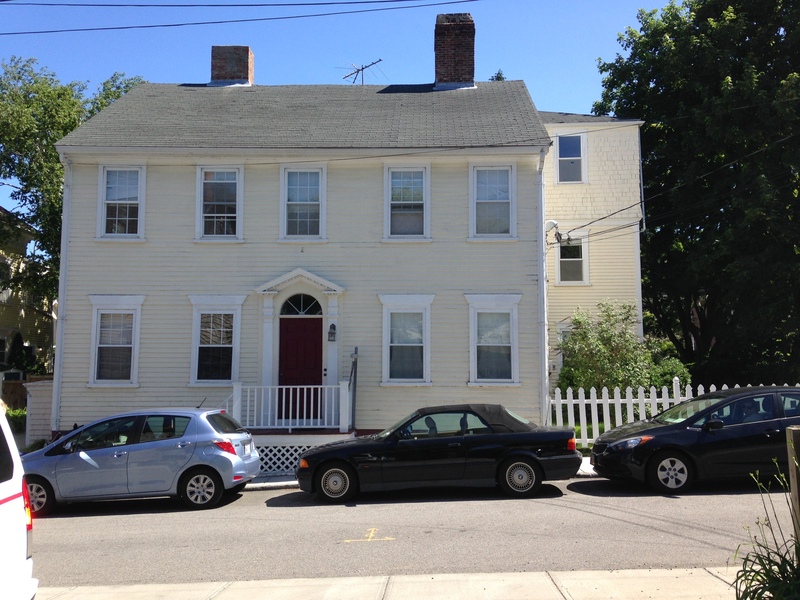 In the ensuing years, a succession of owners altered the home with a modest three-story addition that would accommodate three families up until 2014. 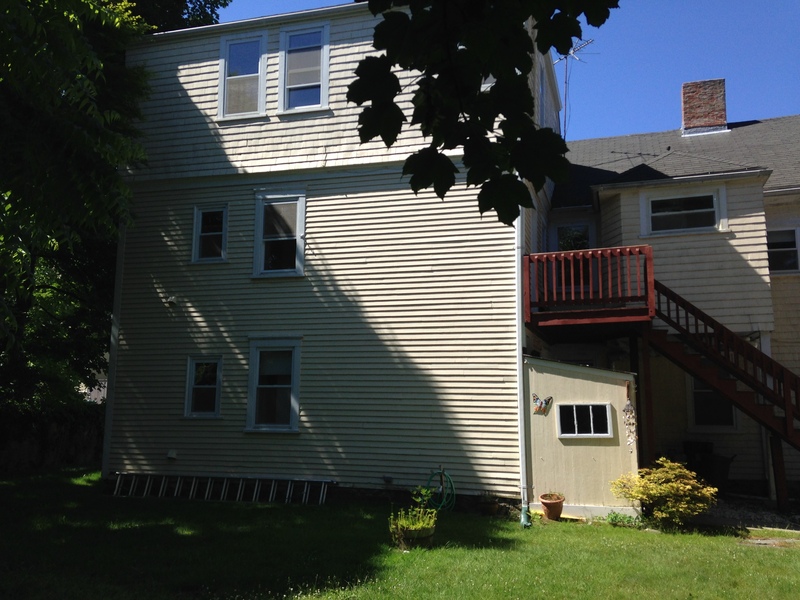 Twentieth century improvements were few and included new electrical wiring, a new roof, new plumbing, and vinyl replacement windows. Much of the home’s original fabric remains intact and wide plank floors, decorative millwork, six mantels, and original doors and hardware distinguish the home with boundless charm. Why Rejuvenate A Home of the Brave? 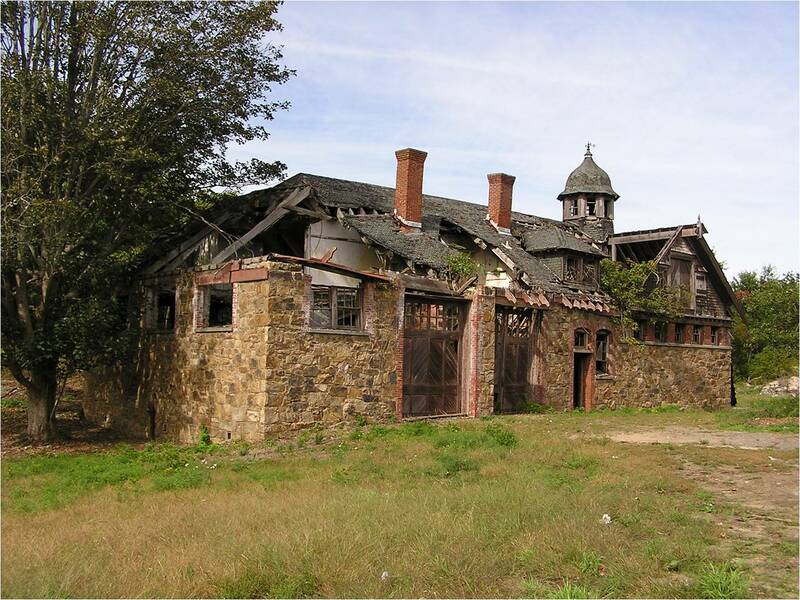 When kindred spirit, Architect John Grosvenor, and I first saw the Sherman House last spring, we were not deterred by the building’s dilapidated state. The faded yellow homestead with a broken chimney spoke to us. We imaged resuscitating the structure and eventually moving to the in-town location with the promise of walk-ability and ready access to Newport’s cultural attractions. 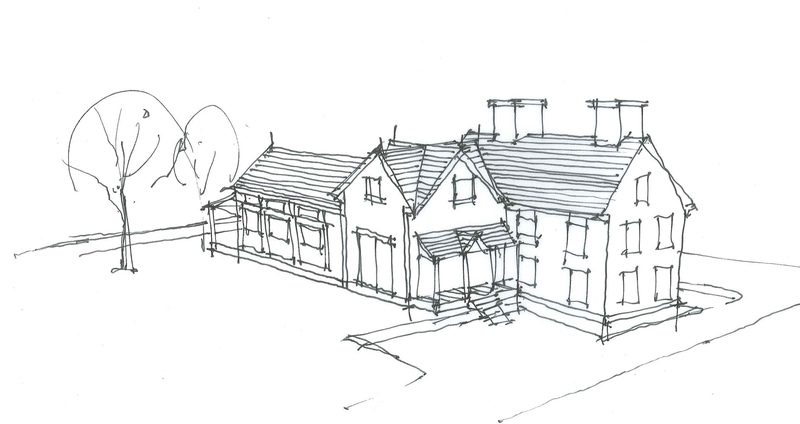 We bought the Sherman House as-is and thus the nine-month rejuvenation of our new home begins.